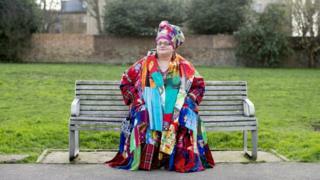 The return of Camila Batmanghelidjh? Part of Camila Batmangelidjh's talent as a charity leader was that she worked up polished spiels that she could deploy to impress donors. She always had a well-turned anecdote to answer any claim or criticism. Her new book - "Kids" - is a transcription of the shtick, as it now stands, two years after the collapse of "Kids Company", the charity she founded and ran. The book is boilerplate Batmangelidjh. Some of the inaccuracies in her account are fairly well worn. Lots have been dissected fairly thoroughly, including in a select committee. Some, though, are new. These include two major errors, which relate to Newsnight and child protection, which are worth addressing immediately. "BBC Newsnight sat on these allegations for some time, during which they identified contributors to their programmes and those of their online media outlet partners, in preparation for mass release." In addition to this being immoral, it would have been a serious breach of the BBC's rules. The corporation has learned from past child protection failures. Its policy is that we should "not delay in taking whatever action is necessary to safeguard the child" - and it is a "disciplinary matter" not to do so. Were she right, I would - rightly - be in serious trouble. But she isn't. The first account of unreported abuse that we encountered emerged from speaking to a former staff member. I met this individual for the first time on Friday 24 July 2015, accompanied by Alan White, a reporter from BuzzFeed News, with whom I was working on the story. We had expected an interview focussed on a different element of her experience of being on staff. But after hearing her testimony, I immediately rang Sir Kevan Collins for advice. He had been a well respected council chief executive and director of children's services for a tough London borough. Sir Kevan advised me to ring the relevant local authority - Southwark - without delay. My diary shows the interview started in the early afternoon of Friday 24 July 2015. I have an email showing that Newsnight had spoken to Southwark by 5:30pm. A further email, sent that evening, shows that they had made contact with the witness by 8pm. That was our first contact with this issue at Kids Company. All of the accounts of unreported sexual abuse at Kids Company emerged after that date. And, in every case we encountered, we encouraged people to come forward to the authorities. "I would like to thank you for your professionalism in reporting the disclosure made to you in a timely manner - this was very important in us being able to take swift action to protect children and young people." Second, Ms Batmanghelidjh implies that the investigation was a minor event; there were, she says, neither victims nor perpetrators. "It is a complex investigation involving a number of alleged victims and perpetrators, and concerns about the culture and leadership of Kids Company in regard to child protection. Several alleged victims have come forward directly to Police, Local Authorities and via the NSPCC helpline that was established for this investigation. The allegations are very serious and will take some time to investigate fully." It is true that no prosecutions were brought. But, as Peter John, the leader of Southwark, said; "It is the sad truth that only a very small number of child abuse allegations ever result in charges, but we owe it to the children involved to take each allegation seriously and follow through on the issues they raise". The sexual abuse allegations, however, were only the tip of the iceberg. Kids Company was the scene for a lot of drug use and distribution, fuelled in part by the cash handouts given to clients. Kids Company ran an illegal, unregistered school. There was violence against both staff and clients. Keyworkers and clients often had very inappropriate relationships. So what is Kids Company's legacy? In her book, Ms Batmanghelidjh said that "Kids Company developed the beginnings of a model that not only worked but engaged wider society in caring for vulnerable children". When it closed, Kids Company claimed to help 36,000 children and young adults. That is the number that Ms Batmanghelidjh still uses. As its end approached, local charities, councils, child psychiatrists and officials all steeled themselves for the end of a £20m-a-year enterprise that had said it was in the same business as them. But the flood of need never came. When Kids Company closed, the charity could only find records relating to 1,692 London clients - both adults and children. Officials in Bristol were given details of a further 175 clients. A lot of the London records were uselessly incomplete or duplicates. And while there were people with severe needs in that group, they were known to the local authorities. Local youth-work charities tell a story that is consistent with this impression. The typical experience was that, immediately after the closure, they got up to a few dozen young people approach them and ask for money. The usual story is that the charity would refuse. One told me: "We don't do that. They wanted material things - but we don't do that." And the clients would disappear. Indeed, the main source of work for local charities after the collapse was helping a small number of former clients claim benefits to which they were entitled. There is not a lot of slack in the social work, care or mental health systems in south London - yet their level of preparedness massively outstripped the work they actually had to do. We can also now definitively say that local youth crime statistics have given the lie to a prediction from the charity that its collapse would lead to a descent into "savagery". None of the ups and downs coincide with the charity's collapse. Changes in city-wide crime, policing approaches and gangland economics matter much more than Kids Company did. As Cllr John said: "There has been a huge amount of speculation about the charity's work, the number of young people it helped, and the potential fallout of its closure, but we have seen little impact since it closed its doors". Councils have been outspoken in demanding that the oversight for charities working with vulnerable people needs to be tightened up. The miracle of Kids Company is how a charity turning over £20m a year could disappear without a trace. Central government spent £47m on Kids Company. As time has ticked on, that investment has looked worse and worse.